AMECO has completed the commissioning of one fit-for-purpose Portal Reclaimer handling 480 tons per hour urea with a rail span of 54 meters at a Nitrogen Operations facility in Texas for a major global producer. 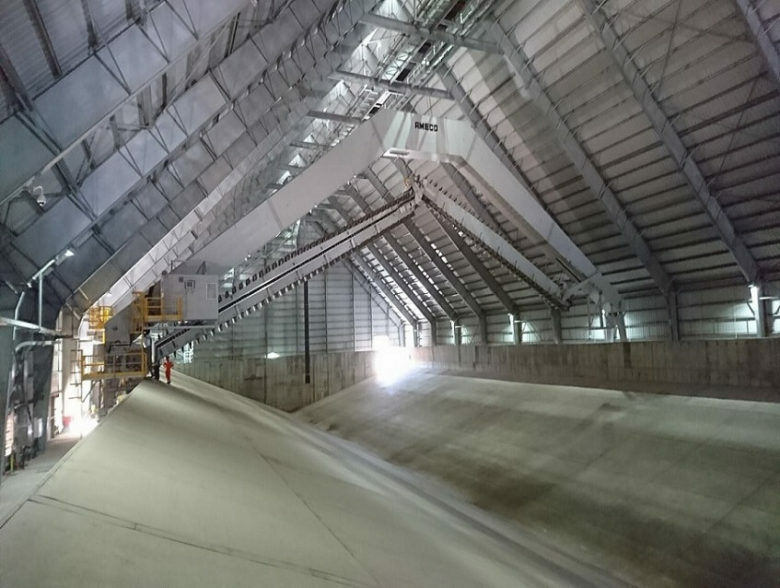 AMECO team designed and supplied an innovative urea storage solution having a Portal Reclaimer able to drag urea up to 20 degrees below ground. This Portal Reclaimer enabled the facility to increase its storage capacity by 50% in comparison to the standard solution available from other suppliers on the market. This first of its kind piece of equipment demonstrates AMECO’s superior product delivery and dedication to serve clients’ needs in fertilizer, pulp, biomass and coal power plants and port terminals leveraging 85 years’ experience in machine design combined with best-in-class predictive maintenance. Read more about our reclaimers on our website.